Website: Find more info here! 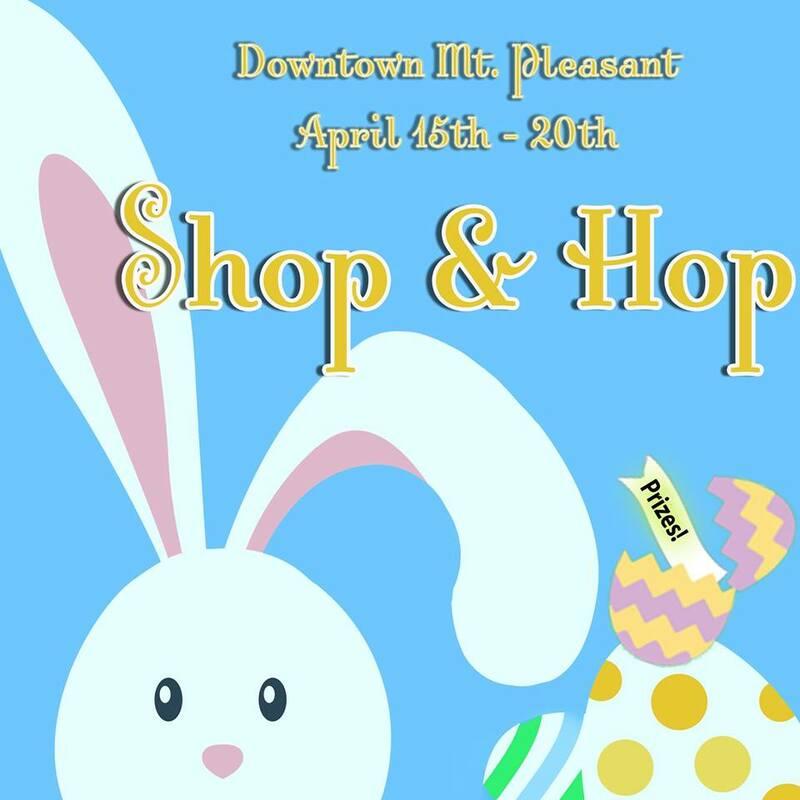 Beginning Monday April 15th, participating merchants in Downtown Mount Pleasant will offer customers the opportunity to hunt Easter eggs that hold discount coupons, gift cards, and other prizes in their stores. Find the GOLDEN TICKET during this Shop & Hop event and enter win a FANTASTIC grand prize basket from downtown retailers made up of gift cards and prizes valued at $350!!! Prize basket will be be given away Monday April 22nd.